Star midfielder Mitch Nichols has had his contract terminated by Perth Glory, with the Sydney Morning Herald citing minor disciplinary issues for his departure. 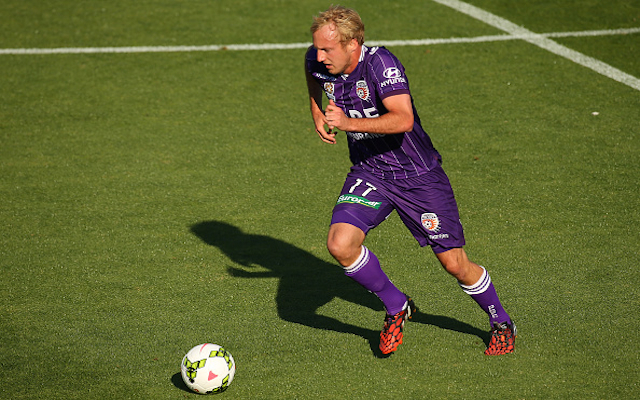 Perth have de-registered Nichols to allow the player to return to parent club Cerezo Osaka in Japan. Glory coach Kenny Lowe refused to give much away when interviewed by the Sydney Morning Herald, saying it was “mutual” decision and that both the club and player had to move on. “It’s a mutual thing and I think it’s something that’s happened,” Lowe said. Nichols joined the Glory on loan at the beginning of the current season, and played a starring role before suffering a hamstring injury before the FFA Cup final in December. According to the report, the Glory insist Nichols’ departure has nothing to do with the salary cap issues that threatens to derail its season. The Australia international made 14 appearances for the A-League club. Perth currently sit second on goal difference behind Melbourne Victory on the A-League table, however the Victory have one game in hand.